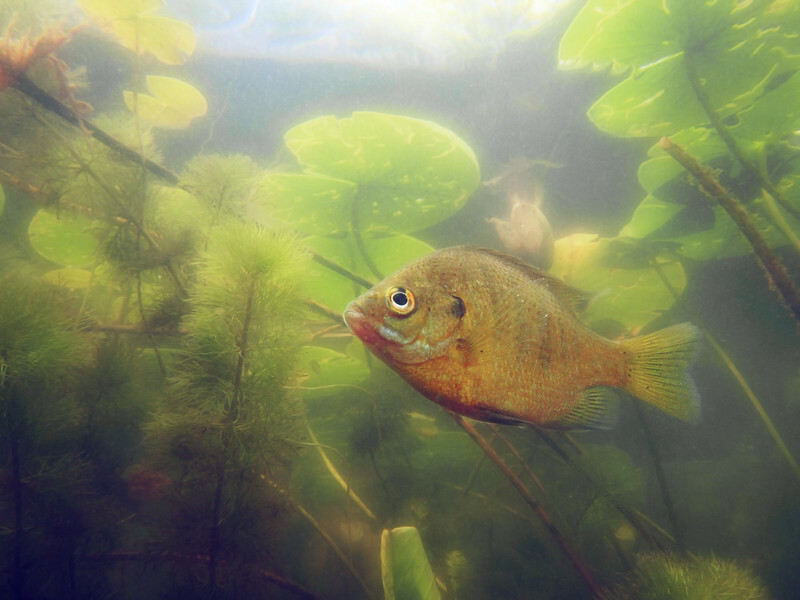 In a New Light: Under the Surface - Tyrone, 15 - " Sit and Wait"
I was looking for ways to take photos of these bluegills.After spending more than 10 minutes trying to chase them around, I found that the best way to get a photo was to go where they hang out and just sit. Less than a minute later they just started to go around me in a circle. They were everywhere. After I found that out, it made me think a lot about life. Sometimes in life we want something so bad so we just go around chasing it like a wild predator and most of the time we chase away the things we want the most. If we just sit and wait, sometimes the thing that we want will come to us with little to no effort at all. The experience of taking this picture has taught me more than I could have ever expected , so I decided to just take multiple photos and try to capture the best photo to try and make you feel the way the fish made me feel.